The provisions of these Terms and Conditions of Sale shall govern any proposed or actual transaction between Consignor Auctions Limited ("CAL") and the prospective buyer/bidder ("Bidder"). CAL is acting as agent for the person who has consigned the property to CAL for sale, whether as principal, owner or agent ("Consignor"). The descriptions of items offered by CAL ("Property"), including artist, title, medium, size, date of execution, provenance, exhibition history, inclusion/reproduction within literature sources, attribution and genuineness, are subject to change leading to the final sale of said Property (including the process during which bidding is active for the Property during CAL online auctions). Descriptions of Property provided by CAL are not meant to stand as a representation to Bidders and no guarantee or warranty of complete accuracy of the provided descriptions is intended or should be assumed. Bidders are provided the opportunity to view and inspect all Property offered for sale by CAL through public and/or pre­arranged private viewings prior to a sale's completion. No sale shall be rescinded due to a lack of correspondence between the provided description of the Property by CAL and the Property itself, including the illustration of the Property provided by CAL. It is the sole responsibility of a Bidder to make arrangements for the inspection of the Property of interest (by the Bidder itself and/or by the Bidder's advisers) prior to sale, and to bid in accordance to this actual inspection and/or reliance upon their advisers' guidance. All submitted bids are final. Removal or alteration of submitted bids is not permitted during the course of any auction. The Bidder who has successfully bid on Property (the "Successful Bidder") confirms that any claims relating thereto shall be claims against Consignor, without recourse to CAL. CAL represents the Consignor exclusively and makes no representation or warranty, express or implied, regarding legal title or ownership of the Property offered by CAL and has relied upon the Consignor confirming same to CAL, without further independent investigation. The Bidder shall be solely responsible for satisfying itself of the legal title or ownership of the Property and liens or encumbrances affecting same and the capacity of the Consignor to sell the Property offered. However, notwithstanding the stipulations listed above, the Successful Bidder may make arrangements for a recognized and fully-qualified authority, who is accepted by CAL, to inspect the Property prior to collection by the Successful Bidder from CAL's premises. Should this authority submit in writing to CAL a statement regarding the challenge of genuineness and/or authenticity of the lot in question, the sale can be rescinded by CAL and a full refund will be provided to the Successful Bidder. The above process must take place within seven days of the final sale of the Property. CAL is pleased to offer a service of providing condition reports on the lots which are offered through its auctions. Please note that these reports are matters of opinion and are prepared by CAL specialists and are not a substitute for a physical inspection of the artwork by the Bidder or their advisors. CAL specialists are not trained restorers and the provided condition reports are not meant to equal a comprehensive report created by a professional restorer. The reports provided by CAL are meant to provide assistance to the Bidder through observations of the artwork and the report will not disclose any imperfections which might be revealed through the process of subsequent restoration. In all cases, the Bidder is advised to consult their own conservator for a complete report with regard to condition (CAL is happy to provide access to the artwork by conservators through public previews and private pre-arranged appointments). Bidders should be aware that CAL's warranties with regard to the Property offered through their auctions are limited to the terms listed in the Terms and Conditions of Sale and in no case extend to the condition of the artwork. A buyer's premium of 18% of the successful bid price is to be paid by the Successful Bidder to CAL as part of the purchase price. In addition, 13% HST (Harmonized Sales Tax) is applied to the successful bid (hammer) price and buyer's premium. However, HST will not be charged on purchased Property which is shipped outside of Canada. Where purchased Property is shipped outside of the Province of Ontario but within Canada, the applicable HST or GST will be charged based on the tax applications within the province or territory of destination. In both cases, the Property must be collected from the offices of CAL with a waybill provided indicating the destination. It is the sole responsibility of the Purchaser to provide acceptable details and make the necessary arrangements to meet the requirements for altered tax responsibilities based on the destination of the shipped Property. Alterations of invoices and/or crediting of tax payments will not be completed once CAL has released the Property. The Bidder acknowledges that CAL may collect a commission and associated fees through its agreement with the Consignor of a lot included in a CAL auction. Purchases completed through CAL auctions are not represented to necessarily include copyright allowances to the Successful Bidder for the purchased Property. CAL reserves the right to withdraw any Property from sale for any reason whatsoever and without liability. This withdrawal may occur up to the close of bidding for the Property. CAL also reserves the right to divide lots of Property into smaller lots or to combine individual lots of Property into larger lots. The above can be carried out at the sole discretion of CAL and can occur without notice. Each Bidder must register with CAL, agreeing to the Terms and Conditions of Sale. Registered Bidders represent that they are bidding on their own behalf and are responsible for those lots in which they are the successful high bidder (becoming the Purchaser or Successful Bidder). In the event that a registered Bidder is representing another party, CAL must be contacted regarding this arrangement at least twenty­four hours prior to the opening of bidding for a particular auction and CAL reserves the right to refuse this arrangement for any reason whatsoever. Failure to abide by this provision shall entitle CAL to deem the Bidder as bidding on its own behalf. Splitting of and/or transferring of an invoice to an individual and/or organization other than the registered Bidder can only be completed at the discretion of CAL and must meet the requirements of such an amendment, including written authorization from both the registered Bidder and its beneficial buyer and the individual or representative of the individual who will become the new invoiced client in such an arrangement. CAL reserves the right to refuse any bid and/or bidding registration application at their absolute discretion. Further, CAL also reserves the right to suspend or cancel any account used for bidding at their sole and absolute discretion. CAL also reserves the right to refuse any bid which is not in relation to the provided pre-sale auction estimate provided by CAL and also reserves the right to not accept a bid recognized to not fall within the set bidding increments during sale. Additionally, CAL reserves the right to accept any bid which does not meet any pre-established reserve. In no instance may a Bidder withdraw their submitted bid. CAL reserves the right to accept and execute absentee or telephone bids on behalf of prospective purchasers, unable to directly participate in the particular auction. In such a case, CAL provides the service of absentee and telephone bidding as a privilege and shall not be responsible for failure to execute the absentee or telephone bid(s) for any reason whatsoever and shall also not responsible for errors and/or omissions related to the process. Bidders who wish to employ CAL in the process of absentee or telephone bidding must complete and sign the required documentation (absentee bidding form) prior to the start of bidding for the particular auction. In the event that two identical absentee bids are submitted to CAL, the bid which is received earlier (and which has been submitted through a completed and signed absentee bidding form) will take precedence over the later bid(s), allowing the earlier submitted bid(s) to potentially purchase the lot(s) at bid level submitted. CAL reserves the right to request and charge a deposit to a Bidder submitting an absentee or telephone bid, in relation to the value of the artwork, to a maximum of $10,000 CAD. CAL reserves the right to hold and apply this Deposit to the invoice, should the Bidder become the Successful Bidder. In the event that final payment and invoice settlement is not made within 30 days following the completion of an auction, then CAL shall have the right to rescind the purchase and the Deposit shall be retained by CAL as liquidated damages. In the event that the Bidder is not successful, the Deposit will be refunded within 10 business days following the completion of the auction. At the completion of the sale, the Successful Bidder shall be recognized as the Purchaser and shall then take on complete responsibility and risk for the purchased Property, adhering to all of the Terms and Conditions of Sale. In the event of a dispute between the Successful Bidder and any other Bidder regarding the result of the auction, CAL will have absolute discretion to rescind any transaction with the Successful Bidder and designate a new winning buyer or to withdraw the Property from the auction. In such a case, CAL may choose to re-offer the Property in a future auction or private sale. In all such cases, final decision shall be made solely by CAL. The Successful Bidder shall make arrangements with CAL for the payment of the whole invoiced amount following the immediate close of the auction, unless alternate arrangements are agreed by CAL for payment of a portion of the invoiced amount. Until full and final settlement of the invoice is completed by the Successful Bidder, the purchased Property will not be released to the Successful Bidder. Failure to pay for purchases may lead to the cancellation of the sale with no promise of re-offering in a future auction. In the event of failure of payment by the Successful Bidder, CAL reserves the right to suspend and/or delete the bidding account of the Bidder and/or their representatives, all at the sole discretion of CAL. The artwork must be collected by the Successful Bidder or his/her representative or delivered to the shipping destination within 14 days of the invoice date. 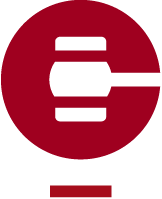 Immediately following the completion of a CAL online auction, the Successful Bidder shall be charged 10% up to a maximum of $10,000 of the hammer price (the "Deposit"), which will be held as a deposit against payment for the Property purchased. The Successful Bidder hereby authorizes CAL to charge the Successful Bidder's registered credit card with the Deposit. The Successful Bidder shall settle final payment and collect their purchase(s) from CAL within five business days following the completion of any CAL auction. Failure to settle payment and/or collect the property from CAL within five business days may lead to monthly interest charges of 1.5% in addition to the invoice amount and/or storage charges for the Property being held on the premises of CAL. Property being held by CAL is being stored at the sole risk of the Successful Bidder and may be stored either on the premises of CAL or at a secondary storage location. In the event that final payment is not made within 30 days following the completion of the auction, then CAL shall have the right to rescind the purchase and if an online CAL auction the Deposit shall be retained by CAL as liquidated damages. If payment arrangements have not been initiated by the Successful Bidder five business days following a live auction, the Successful Bidder shall be charged 10% up to a maximum of $10,000 of the invoice total (the "Deposit"), which will be held as a deposit against payment for the Property purchased. The Successful Bidder hereby authorizes CAL to charge the Successful Bidder's registered credit card with the Deposit in this case. In the event that final payment is not made within 30 days following the the live auction then CAL shall have the right to rescind the purchase and the Deposit shall be retained by CAL as liquidated damages. CAL, its employees or agents, shall not be liable for the loss or damage of any Property purchased through a CAL auction (through negligence or otherwise) while the Property remains in the possession of CAL and once the allowed five business days following an auction closure or completion of a private sale has passed. In any event resulting in failure by the Successful Bidder (Purchaser) to pay for Property purchased either through the defined auction process or a private sale within the five day period following the sale, CAL, in its sole discretion, may re-offer the Property in question without limiting the terms in place with the Consignor of the Property. Should CAL reoffer the Property, the original Successful Bidder (Purchaser) shall be responsible to CAL and the Consignor for the following: any difference marked as a deficiency between the price achieved and amount invoiced upon the re-sale of the Property versus the price achieved and amount invoiced to the Purchaser upon the original sale of the Property; any storage charges to CAL for the holding of the Property between its original offering and the reoffering; and the total in sales commissions which CAL would have collected had the original sale of the Property been completed. CAL accepts payment by cash, certified cheque, wire transfer, VISA and/or Mastercard for the settlement of invoices. Credit card purchases are limited to a maximum of $25,000 CAD and the credit card holder must be present at the time of payment. Artwork purchased with a certified cheque will not be released by CAL until the clearance of the cheque has been confirmed by CAL's bank. Payments arranged by wire transfer may be subject to administrative charges related to the transfer and banking processes. CAL is pleased to assist clients in arranging for the shipment of their artwork from our Toronto premises. However, it is the responsibility of the Successful Bidder to make these arrangements in full, including the packing, insuring and actual shipment of the Property. Assistance provided by CAL in this regard is provided as a service and CAL carries absolutely no liability through this courtesy. CAL carries absolutely no liability to possible damage of framing (including glass) during shipment arranged by CAL or otherwise. Without limitation, the Purchaser accepts that any lot (Property) purchased through CAL may be subject to provisions of the Cultural Property Export and Import Act (Canada). CAL reserves the right to refuse admission, enrolment and/or participation in any of their events and/or auctions. Further, CAL reserves the right to refuse admission to their premises to any individual or group of individuals. These Terms and Conditions of Sale and all agreements related to the business of CAL shall be construed under the laws of Ontario and the parties hereby attorn to the exclusive jurisdiction of the Ontario Courts. This agreement may be executed and delivered in a number of counterparts, each of which when executed and delivered is an original but all of which taken together constitute, as applicable, one and the same instrument.